Go on Google and type “A Featherstone Archive” including the quotation marks, scroll to the bottom and see if it helps your cause. Note: This list will be extended as more information is available. Not all first names or ages are known. J Leadbetter, a collier age 31 was killed by a fall of roof. Mark Westmoreland, a sinker age 19 was struck by something while descending the shaft. He died two days later. Reuben Peace, head banksman age 34 was oiling the winding rope while standing on planks across the shaft. The cage came up and dislodged him and he fell down the shaft. Abraham Hercock, a surface labourer age 28 was killed when a large piece of iron being lifted by a crane fell on him. John Sadler, a sinker age 50 was working on a scaffold in the Silkstone shaft when the cage was accidentally raised and tipped him off and he fell down the shaft. Harry Elvin, a sinker age 27 was holding a drill rod which two men were striking, A small piece of steel flew off and pierced his heart and he died a few minutes later. George Farrar, a carting agent, was in Green Lane when an engine approached and spooked his horse which knocked him on the lines and the engine ran over his leg. He died from shock the next day. Albert Fearnley, a collier age 22 was crushed by a fall of stone and died the same afternoon. Leonard Foster, a collier age 21 was crushed by a fall of roof. George Worman, a surface worker age 16 was walking through the sidings and was run over by a wagon. H Heath, a collier age 30 was killed by a fall of roof. E Frith, a collier age 30 was injured by a fall of roof and died two days later. T Lister, a collier age 28 was killed by a fall of roof. James Winstanley, a stone worker age 44 was killed by a fall of roof. Elias Allen, a collier age 45 was killed by a fall of roof. Henry Palfryaman, a collier age 31 of South View was killed by a fall of roof. Jarvis Housley. a collier age 30 lodging in Aberdeen Terrace was killed by a fall of roof. John Edward Clare, a collier age 49 lodging in Clark's Buildings was killed by a fall of roof. J Coulston, a byeworker age 44 was injured by a fall of roof and died five days later. J Waite, a pony driver age 17 was found dead under a full tub. William Taylor, a hanger-on age 28 in the pit bottom tried to adjust a tub in the cage when the cage rose and crushed him. Thamas Poynte, a collier age 24 was killed by a fall of roof. Alfred Dickinson, a roadman age 18 of Halton Street was run over by runaway tubs when a haulage chain broke. George William Palmer, a collier age 44 of Andrew Street was injured by a fall of roof and died the same day in Clayton Hospital. E Farmer. a pony driver age 15. was injured when he fell in front of a full tum on February 17 and died two days later. Fred Littlewood, a collier age 23 was killed by a fall of roof. Mark Yardley, a collier age 40 was killed by a fall of roof. Richard Ingram, a collier age 25 of Fearnley Street was injured by a fall of coal in January. He was taken to Clayton Hospital where he died some months later. The inquest in \November decided he died as a result of a fractured spine. Thomas Rudge, a byeworker age 24 was killed by a fall of stone when he removed a prop. Charles Garforth, a collier age 52 was killed by a fall of coal. Abraham Thatcher, a collier age 58 was killed by a stone which fell from the roof. John Green, a collier age 62 was killed by a fall of stone. Arthur Henderson, a pony driver age 16 was riding in a tub which became derailed. he was thrown out and broke his neck. 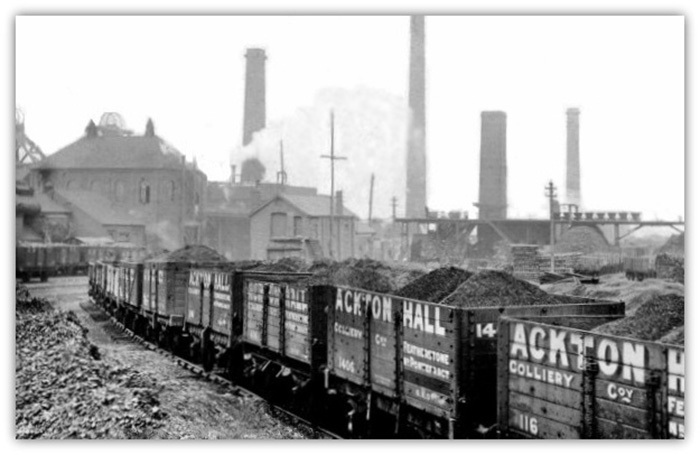 Joseph Lindley, a collier age 54 of North Featherstone was killed by a fall of coal. Michael Doran, a collier age 50 was killed by a fall of roof. Walter Tomlinson, a labourer age 30 was killed by a fall of roof. Herbert Knight, a collier age 36 of West View, North Featherstone, was hit in the stomach by a discharged prop and died at home five days later. George Lythgoe, a collier age 45 was killed by a fall of roof. David Cowcill, a collier age 44 was injured by a fall of coal and died two days later. Harold Marsh, a screener age 13 went through a fence and was caught in the machinery. He was taken to Clayton Hospital and died after an operation. James Platt, a miner age 34 of Pontefract was burned in an ignition of firedamp and taken to Clayton Hospital where he died the next day. Arthur Schofield, a pony driver age 16 of Tanshelf was found dead crushed between a tub and the side of the roadway. Enoch Davies, a collier age 65 of Gladstone Street was injured by a fall of coal on June 15 and taken home where he died on June 24. William Hall, a deputy age 57 of Fearnley Street was injured by a fall of roof. He was taken to Dr Finch's surgery where he died shortly after. Herbert Toft, a byworker age 45 was killed by a fall of roof. William Davy McDonald, a labourer age 48 of Leeds was crushed when a new boiler being installed slipped and trapped him. George Callear, a greaser age 19 was killed when his clothing was caught by a driving shaft. 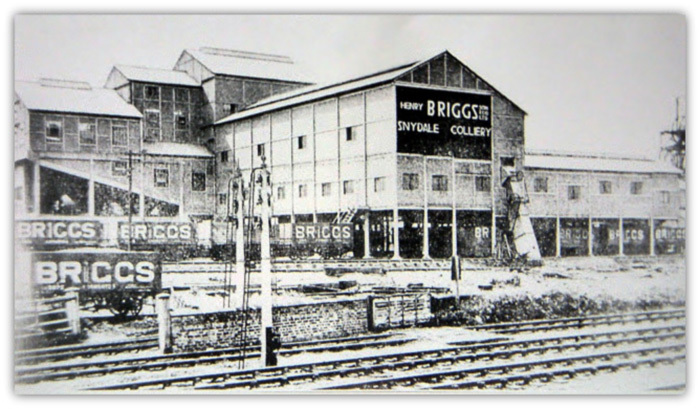 William Dyas, a pony driver age 16 of Post Office Road was run over by derailed tubs. He was taken to Pontefract Dispensary where he died from shock. John Reynolds, a lamp cleaner age 14 of Thornton's Buildings stood too near the fire in the lamproom and his apron caught fire. He was taken to Clayton Hospital where he died two days later. Thomas Gill, a pony driver age 16 was run over by a full tub. Francis Walker, a pony driver age 19 was trapped between two runs of tubs.